In February 2016, the Worcester Public Schools announced that the “Currents of Industry” documentary produced by WCPC students working with the Blackstone Canal District Alliance would be used as part of their 10th grade history curriculum. On November 17, 2016, The Landmark featured students working with the Princeton Arts Society and the Princeton Historical Society to develop a digital virtual tour of the history of the town of Princeton. In November 2015, students working with Senator James Eldridge on underground storage tank and spill clean up policies were mentioned in the MetroWest Daily News. 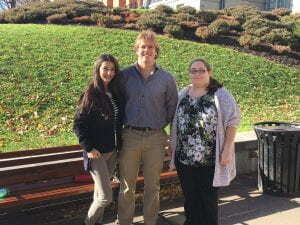 Worcester Earn-a-Bike project, conducted by WCPC students, Bror Axelsson, Jaclyn DeCristoforo, Kyla Rodger, Aida Waller, is selected as a finalist for the 2014 President’s IQP Awards. 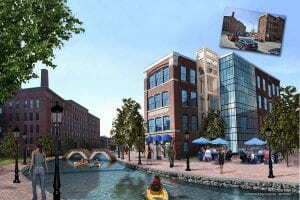 A WCPC project, in partnership with the Blackstone Canal District Alliance, is featured in an article titled, “Study finds Blackstone Canal opening could deliver huge return on investment for Worcester” and published on MassLive.com. 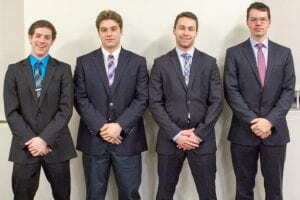 Fall 2013, AIDS Project Worcester (APW) wins a $5,000 grant from the Fred Harris Daniels Foundation, largely based on information and analysis conducted by WCPC students, Matt Blakeman, EJ Murphy and Ryan Fawthrop, completing their Interactive Qualifying Project with APW. The funding will allow the agency to begin upgrading its computer network and enable staffers to better serve clients. Congratulations APW! Winter 2013, Worcester Community Project Center students won a 2013 Community Engagement Award from the Colleges of the Worcester Consortium for their work with AIDS Project Worcester. See their project page on the right hand column for additional information about their project. Congratulations Matt Blakeman, Ryan Fawthrop and EJ Murphy! 2011, Worcester Community Project Center students won a Community Engagement Award from the Colleges of the Worcester Consortium for their project work. 2010, Worcester Community Project Center students won a Community Engagement Award from the Colleges of the Worcester Consortium for their project work. 2008, Robert Krueger, former WCPC Director, and the WCPC won the Alden Award for Excellence in Higher Education and the Worcester UniverCity Partnership William Meinhofer Award for Faculty Excellence. 2007, Robert Krueger won the Moruzzi Young Faculty Award for Innovation in Undergraduate Education for his work with the Worcester Community Project Center.